I remember being a kid wandering through beautiful homes with my parents. I would envision how I would set up my toys in the different rooms and if my treasured companion Toby (the teddybear) would enjoy his new home. Looking back now, while I got lost in the land of make believe, my parents were gathering useful inspiration as we made our way through the Parade of Homes. 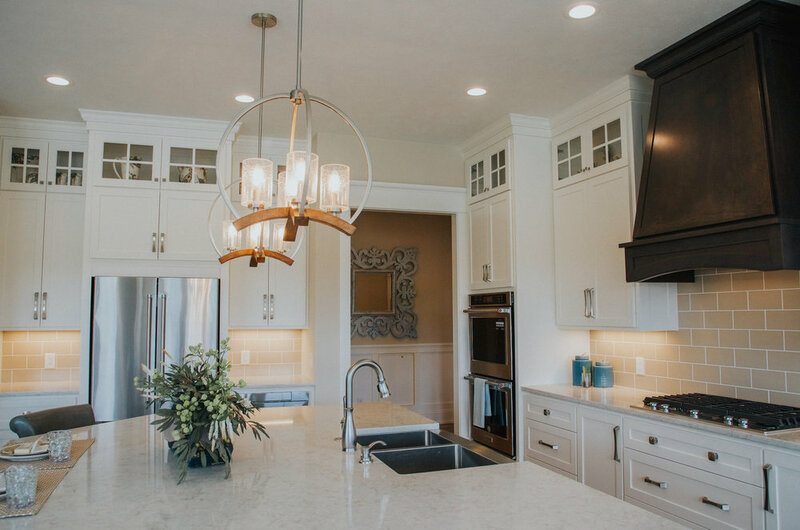 All these years later, the tradition continues as people young and old explore what some of Michigan's best builders and designers have to offer. There are so many reasons I am excited to be partnering with the Home Builders Association of Greater Grand Rapids. For one, they contribute some significant stops on my trips down memory lane. But more importantly, their commitment to providing quality homes, connecting with their community, and championing education. For those of you that don't know, the Home Builders Association of Greater Grand Rapids (HBAGGR) is a nonprofit trade organization. It was founded back in 1945 and clearly remains a focused, active group. They ground themselves in a set of values that emphasize the strength of community and power of innovation. Their member requirements echo this standard as all of them must abide by a specific code of ethics to ensure that any customers receive an experience of professionalism and excellence. $10 tickets vs the normal $12 price! If you're taking the whole fam, kids under 12 years old are free. Get your tickets here! 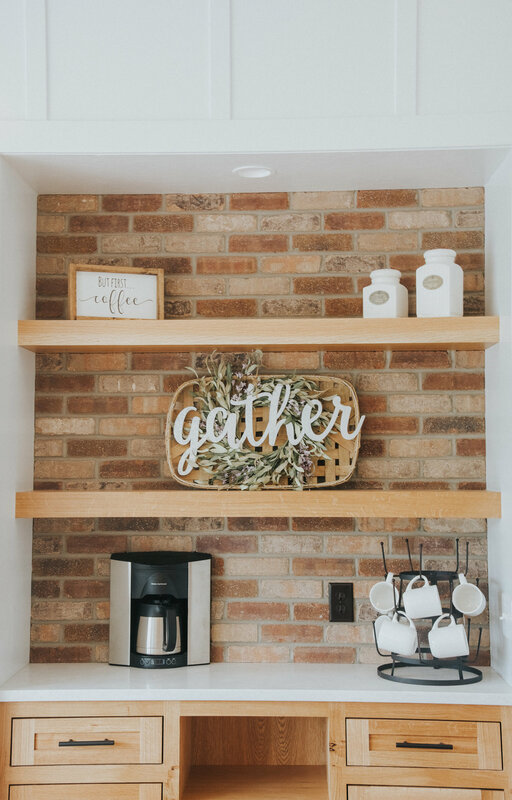 Sharing my favorite features from each home we went through so you can add them to your list. Happy parade-ing friends. Taking the whole fam? I created a Bingo sheet for any kiddos (or kiddos at heart). The first home that we went through was built by Spoelma Builders. 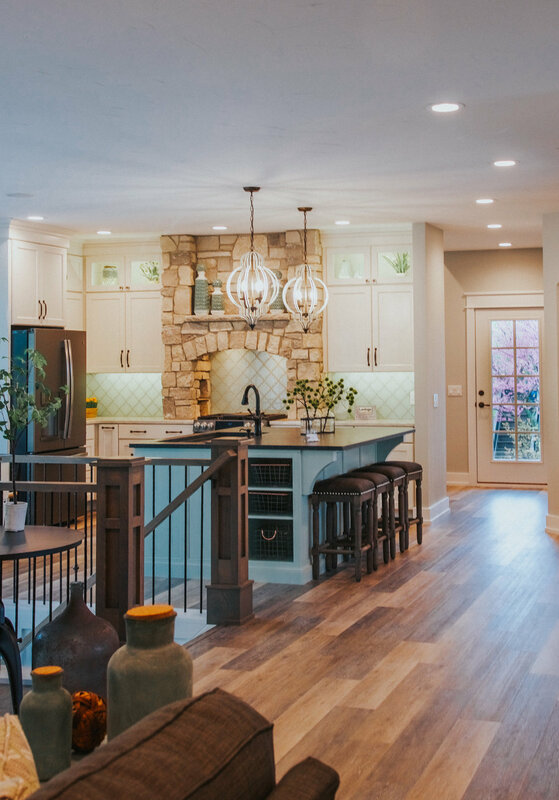 They did such a great job of balancing design elements that so many home buyers are looking for with timeless features. The builder was extremely welcoming and graciously answered our peppering of questions. KITCHEN: It was stunning. 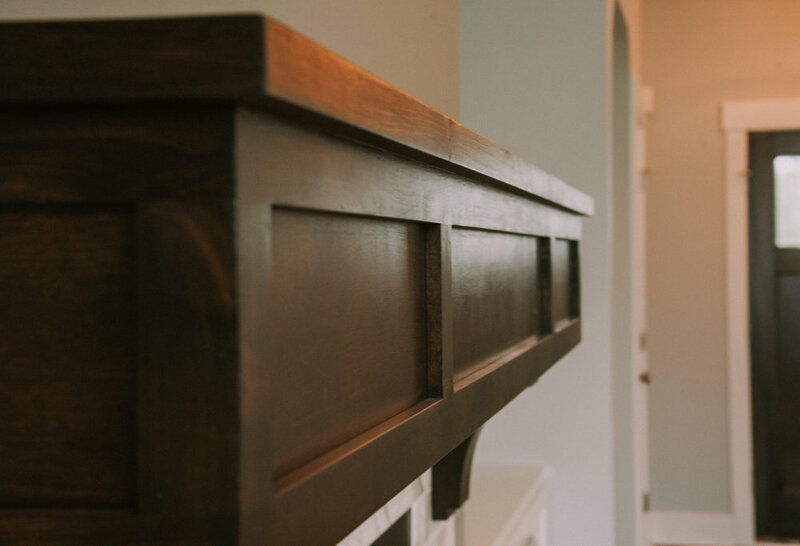 From custom cabinetry to beautiful finishes throughout, this was the heart of the entire home. Loved the stained wood that the light fixture was hanging from. It was a great way to work in a varience in color and materials while maintaing a clean aesthetic. The floor plan put the kitchen at the center of all the action which is perfect for a family or entertaining. BACK ENTRY: The garage entrance brings you into this spacious part of the home. Complete with lockers and benches for endless amounts of I'm-running-out-the-door-and-need-these-items, it was such a welcome. FIREPLACE: The fireplace in the living room is a striking focal point. Between the beautiful tile work and rich, wood mantle it demanded a lot of deserved attention. Home number two was a Mediterranean dream. 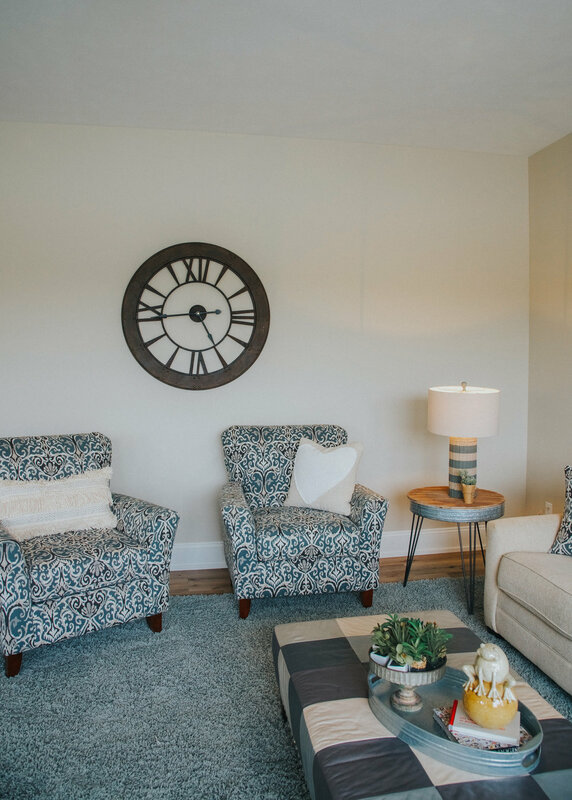 Ridgeline Homes put an amazing amount of care and intentionality into the project. 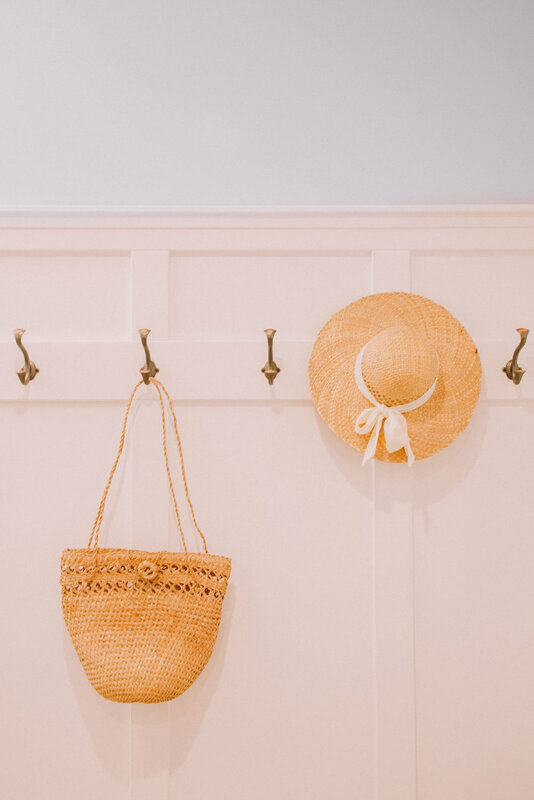 The homeowner grew up in Israel and she worked hand in hand with the builder/designer (True Vine Creations) to ensure there were nods to her culture throughout. The three of them excitedly took us on a tour pointing out the subtle and significant touch points throughout the home. ARTIST STUDIO: The homeowner is also a painter so she will put this room to good use. Such a dreamy room for any artist! Wide open space, windows on all sides, and endless amounts of natural light. In the corner was an antique farm sink that added a touch of history to the modern gallery. CHICAGO BRICK: Make sure to stop by this house and see if you find the 'Chicago brick.' The designer, Julie shared that historically brickyards would imprint the city where the brick had hailed from right into the clay. For this project, they bought reproductions of this interesting tradition to use throughout the home. BASEMENT SETUP: I couldn't believe when we went down the stairs to the basement. I have never been in one that isn't a walk out (they weren't able to have that due to the lot) with so much natural light. 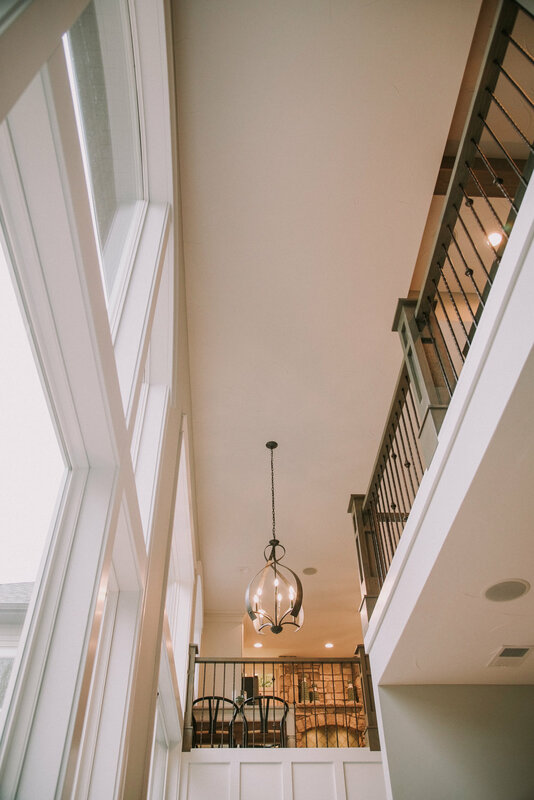 His design allowed you to see up to the vaulted ceilings even when standing in the basement which added to the open, airy feel. L to R: The builder (Ridgeline Homes), homeowner, and designer (True Vine Creations). Miles Builders were the magic behind the third home we toured. To be honest, it was probably my favorite of the ones that we previewed. 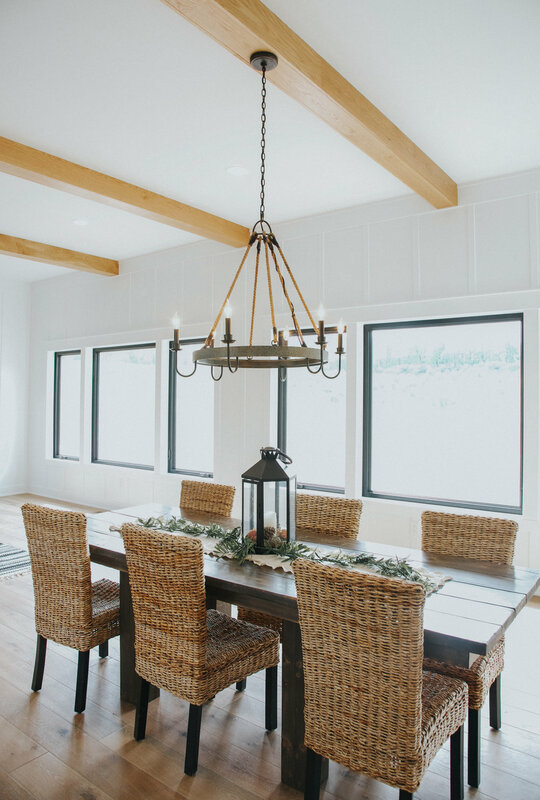 While they were all beautiful, I loved the balance of style in this one...farmhouse finishes (hi exposed wood beams) mixed with some more classic elements (hi custom trim). And, it's hard not to fall in love when the home is perched in the middle of 52 acres. QUARTZ SHOWER: The master bedroom had the most amazing [huge] shower. It was quartz from floor to ceiling and had multiple shower heads. Perfect for your next shower karaoke jam session. KITCHEN: The kitchen was a dream. Perfectly open to the living room and eating area with a great view of the front 'yard' (is 50+ acres still considered a yard)? From the open shelving to the great finishes to the pantry, I was in love. PINK BATHROOM: Upstairs there were two bedrooms that were both adorable. Clearly both for a couple of little gals, their personalities were so clear even though we didn't know who they were. One had a scalloped wall and was decked out in pastel pinks and purples. The other was board and baton in navy with bright pink eclectic elements. But, the sweetest aspect of this floor was the bathroom. The cabinets in it were pale pink! I loved them. An amazing grey/beige flooring completed the dreamy bathroom. The builder/design dream team of Homes By Gary Byker and Room Candy (Janel Joppie) were behind the last house that we got a sneak peek of. The lot was a highlight: inviting lake sitting at the edge of the generous backyard (often rare for lakefront property)! To celebrate all of that, the house was built to ensure great views of the lake throughout. Janel's vision completed this beauty with nautical touches finding their place among more vintage leaning elements. BEDROOM: The whimsical room complete with a set-up tea party was a highlight for me. Playful, sweet, and a dreamy retreat for some little ladies. VIEWS: The views from the main gathering space (kitchen, dining area, living room) are amazing. Windows line the wall facing the lake giving an almost panoramic effect to the space. I can only imagine what sunsets are going to be like from those vantage points this summer! PANTRY: The pantry located directly off of the kitchen was every organization nerd's dream. 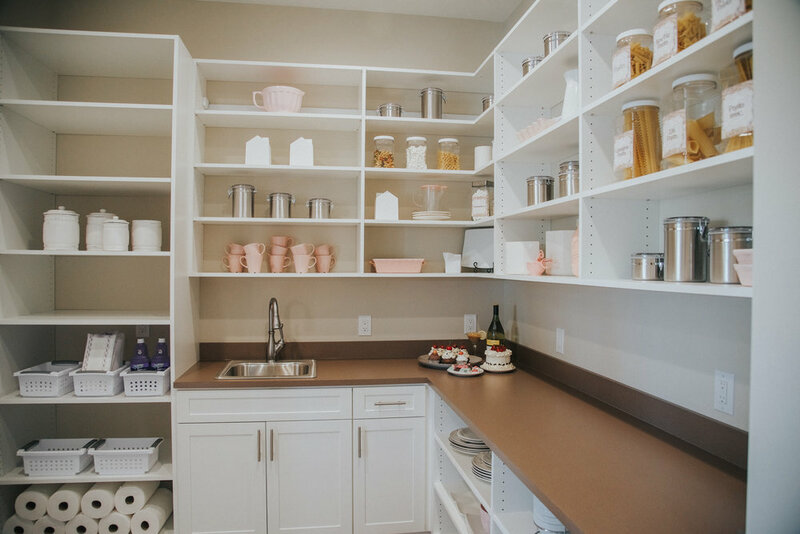 Lots of shelving and endless drawers made it the perfect outlet for anything from food items to serving ware. Thanks for coming along...now it's your turn! Kick off your holiday weekend with some home and design inspiration. You can still get your $10 tickets here. Make it easy on yourself and download the HBA Parade of Homes app for helpful maps, property addresses, and lists of homes by builder. When you go, post some photos using the hashtags #HBA, #HBAparadeofhomes, or #HBAparadeofhomesgr. I'll keep my eyes out for your favorite inspiration! 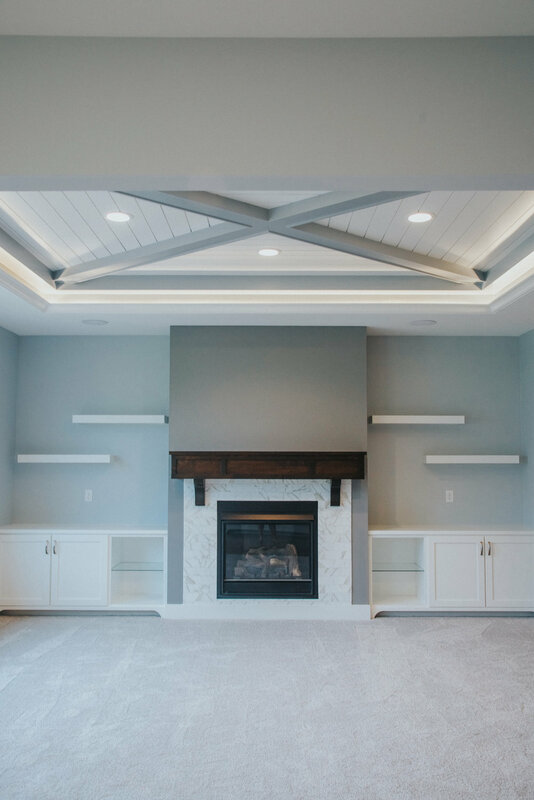 *I worked with the gems at Home Builders Association of Grand Rapids on this post but all content and opinions are my own.